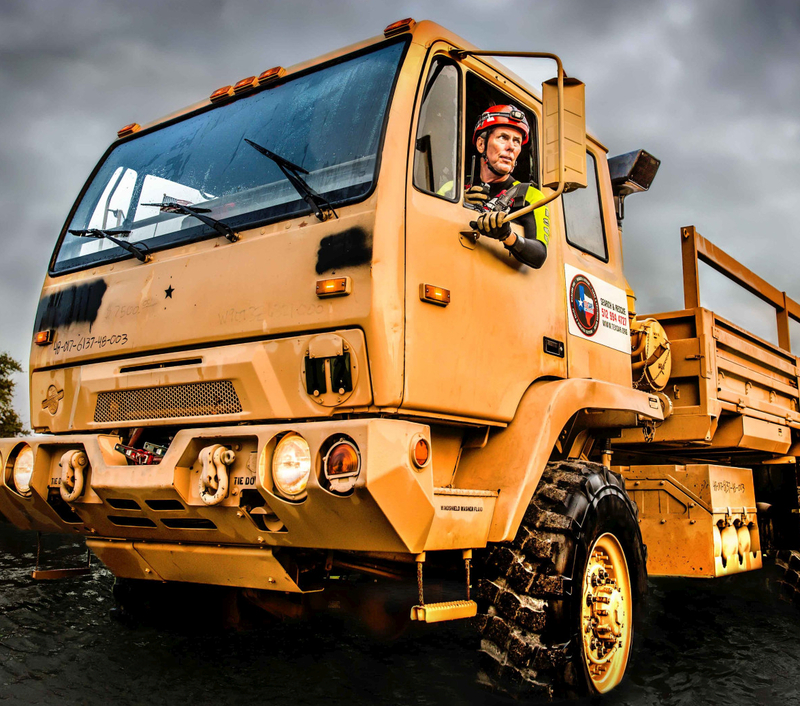 TEXSAR weathered the eye of the storm in Aransas Pass and Corpus Christi, emerging afterwards to provide immediate response in the Coastal Bend region. Picking through the debris in Rockport, TEXSAR rescue crews headed to the deepening flood waters along the Gulf Coast.TEXSAR Incident Management personnel supported Fort Bend and Galveston Counties as water rescue technicians began operations from their staging areas throughout the Houston and Galveston region. 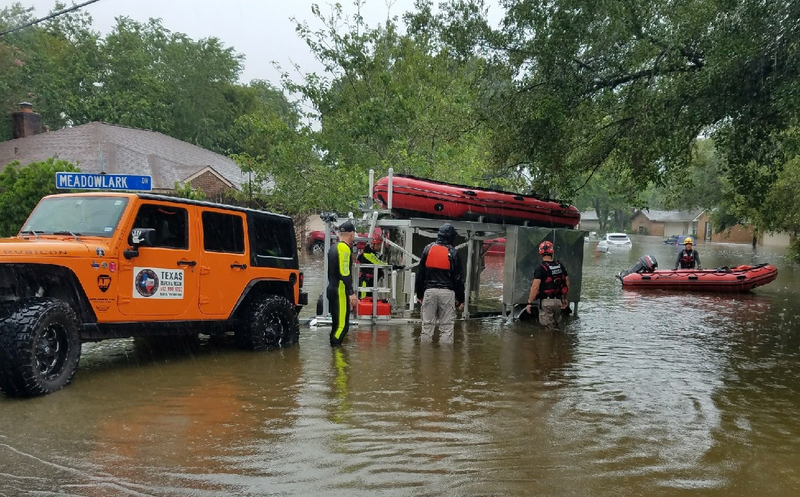 Flood water rescue team members assisted the Hedwig Village and surrounding agencies of Harris County in nearly a hundred rescues in heavily flooded neighborhoods. Caldwell County was assisted by TEXSAR members from North Texas for both response and assistance in the Emergency Operations Center. 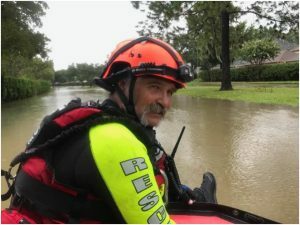 TEXSAR Incident Management personnel supported Fort Bend and Galveston Counties as water rescue technicians began operations from their staging areas throughout the Houston and Galveston region. Flood water rescue team members assisted the Hedwig Village and surrounding agencies of Harris County in nearly a hundred rescues in heavily flooded neighborhoods. 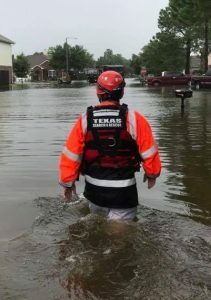 Caldwell County was assisted by TEXSAR members from North Texas for both response and assistance in the Emergency Operations Center.In Galveston County, TEXSAR worked at the direction of law enforcement in Dickinson, League City and Friendswood as more than 50 inches of rain inundated the region. 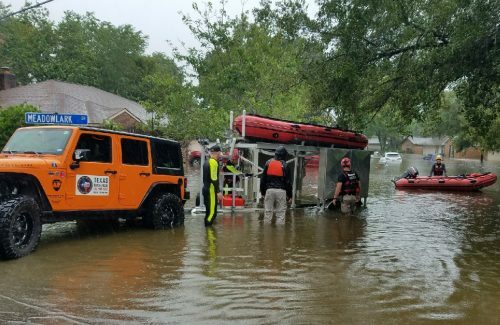 TEXSAR members rescued, triaged and treated hundreds of residents. As the waters subsided, TEXSAR moved into Wharton and Jefferson counties to provide medical support, donation and sheltering assistance and manned points of distribution for much-needed supplies in the community. 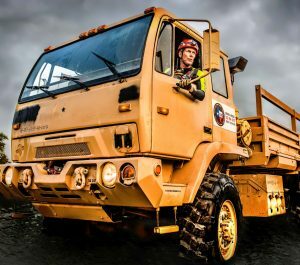 Nearly a hundred TEXSAR members supported multiple missions simultaneously, making Hurricane Harvey the largest deployment to date. We are grateful for the generous support from the community and our sponsors as this disaster evolved and our resources stretched across the State.